Volunteer holidays abroad with GVI offer individuals, families and groups the opportunity to give back on a short term volunteer program in a meaningful, sustainable way, while exploring some of the world’s most remote and beautiful locations. 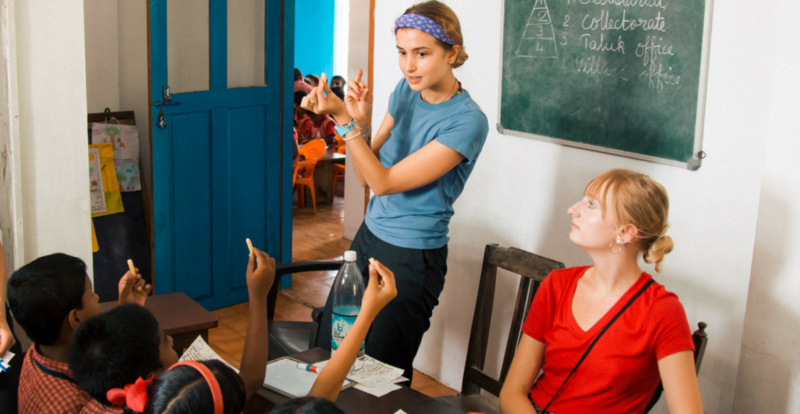 GVI has a range of short term projects based around the world, which combine volunteer work, cultural and adventure excursions, language immersion and much more! Amongst these programs are our Christmas volunteer programs. Picture yourself surrounded by the Himalayas, working in a local care centre or in the beautiful Mexican Yucatan peninsula, volunteering on a variety of marine conservation based projects. Whether your interests lie in conservation work, teaching or animal care (to name a few! ), GVI has a volunteering project for you. GVI has been operating volunteer projects all over the world for the past 14 years, and with all our projects we strive to ensure we use local operators and support local businesses. We are proud of our approach of establishing long-term and sustainable projects, in which the local community is always consulted first and foremost in order to determine their needs. By volunteering with GVI, you can be sure your volunteer holiday will be making a difference and supporting the right people. Take a look at what our previous volunteers have to say about their time with us! Don’t think that just because you’re volunteering over the short term that you can’t make a difference. GVI projects run year-round with full-time staff, at the direction of local partners and communities, so that your efforts can be channeled correctly. Let GVI help you arrange the best adventure activities during your time off from your volunteering work. Enquire to find out which projects include adventure side trips and what activities you can expect from the country of your choice.